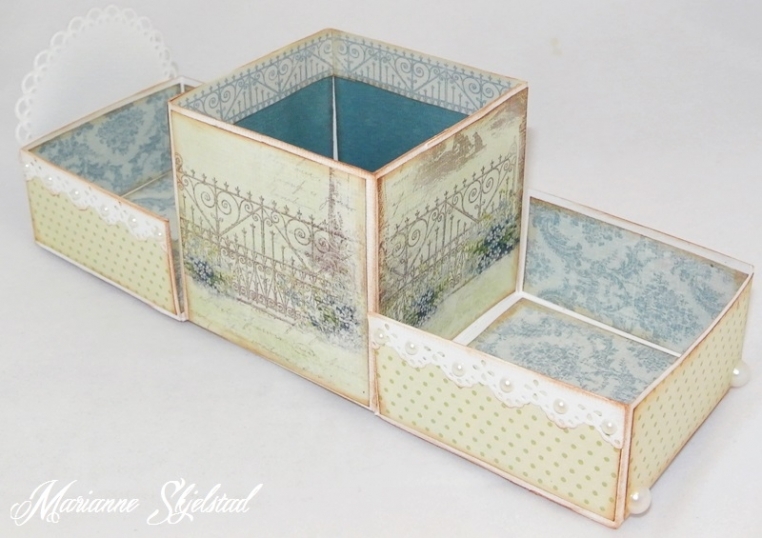 Today I have a gift box to show you, made from the beautiful Vintage Garden collection. On the outside I put an image from the sheet Seed packets, and on the inside I have used the sheet Garden. 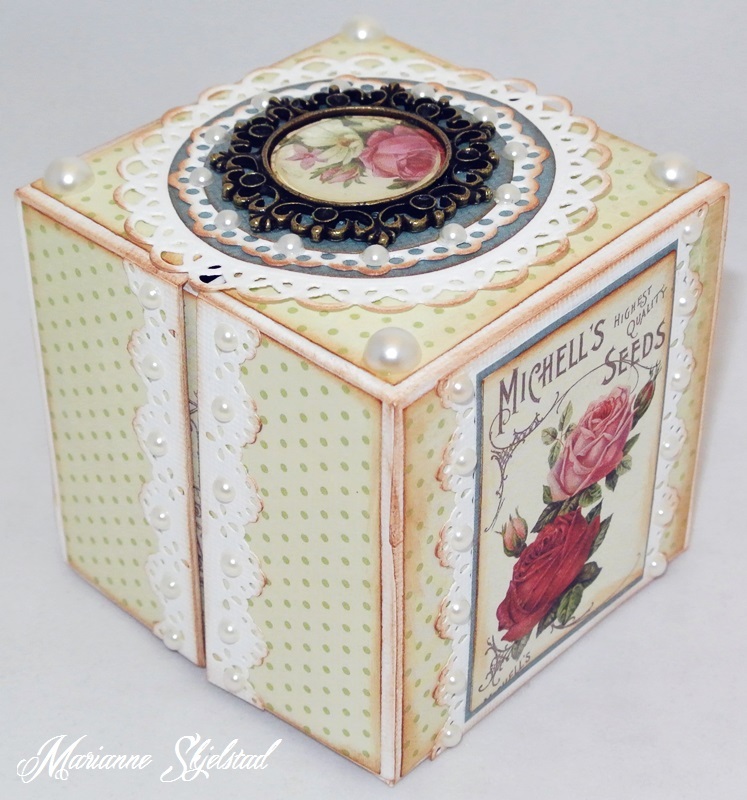 I have also used borders, frames and plenty of pearls as decoration.